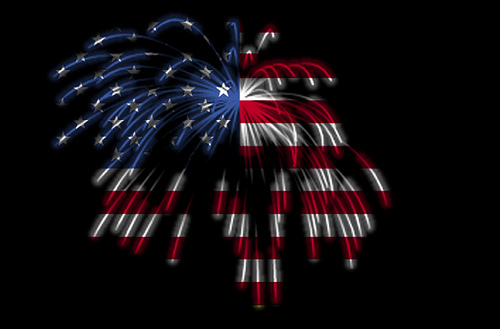 Happy 4th of July everybody! I have many fond memories of Independence Days growing up. Every year my neighborhood (actually, to be fair, it was actually the neighborhood next to mine but we "crashed" it every year) would hold a parade. One of my neighbors had a flatbed trailer that we would decorate the night before. The day of the parade we would climb into the flatbed, decked out in as much red, white and blue as possible and throw candy and sing and shout to the parade watchers. After, we would gather at my godmother's house for a swim and a BBQ with all our neighbors. We'd then head home to change and regrouped to walk to the mall where would would set up our towels on a hill to watch the fireworks display. After the trek home we'd stop at my next door neighbors for ice cream sundaes. We'd top off the night with some night swimming with the pool lights on at my best friend's house. So yes, I totally love the 4th of July! 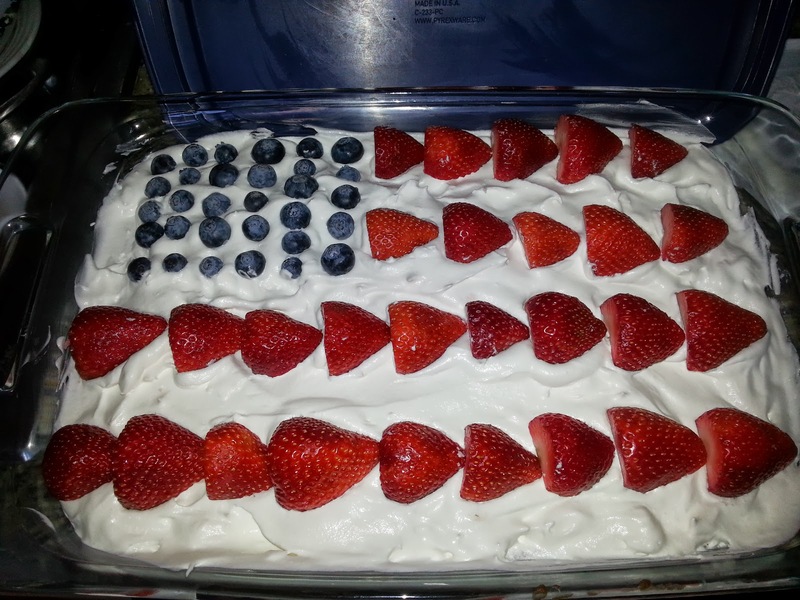 This flag cake became a yearly tradition for me. 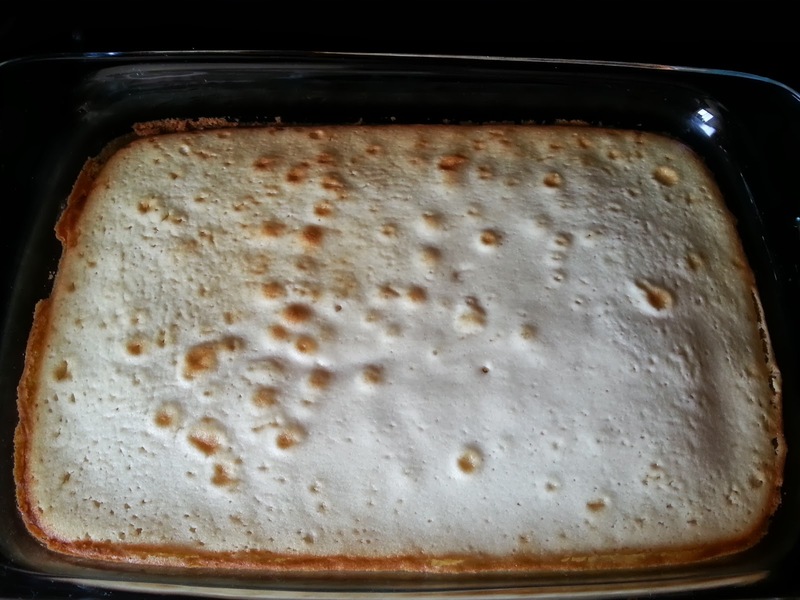 It is super easy and I admit I made it even easier by cheating and using a box cake mix (oh the horror!). I decided this year I wouldn't cheat and I found a white cake recipe on this website. It wasn't complicated and was pretty simple to follow. 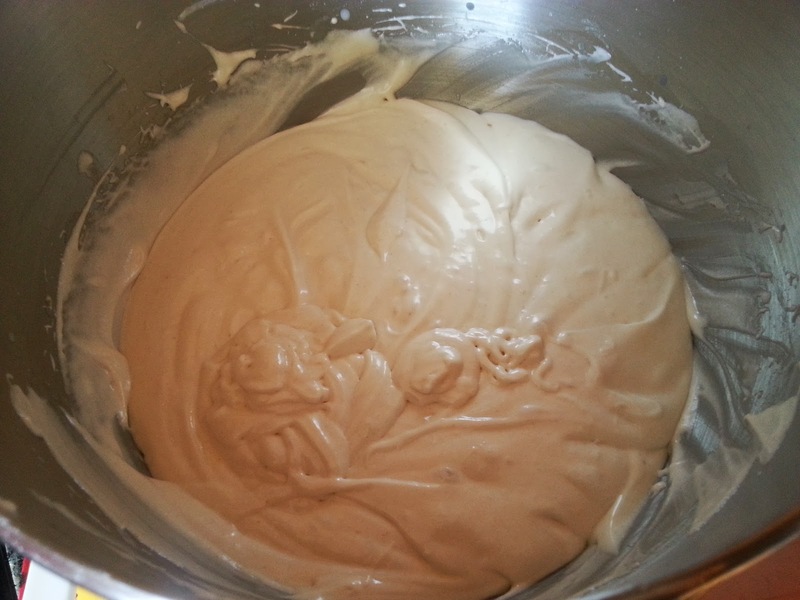 Mix and sift flour, baking powder, salt and sugar into mixer bowl. Add shortening, vanilla, milk and egg whites. Beat 30 seconds on low speed, scraping frequently. Beat 7 1/2 minutes on high speed. Scrape twice during this beating. Bake for 30-35 minutes (until toothpick inserted comes out clean). 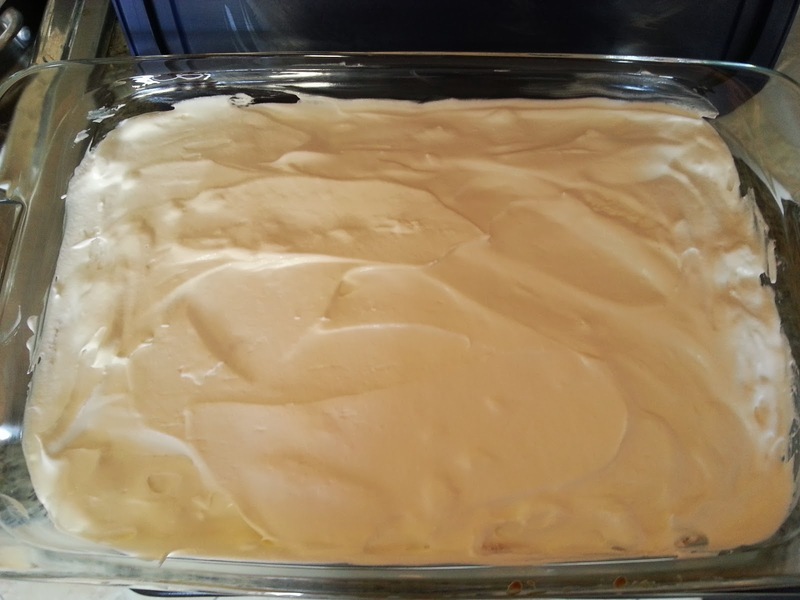 Once completely cooled completely, cover cake with whipped topping. 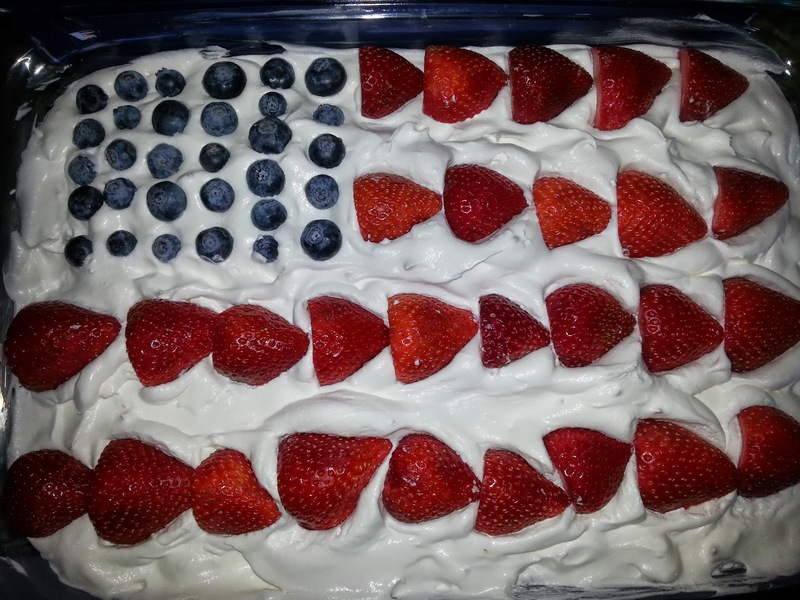 Place blueberries in the top left corner to make the blue square of the American flag. Halve the strawberries and place end to end in rows. Leave an equal amount of space between the next row to make the stripes of the flag.